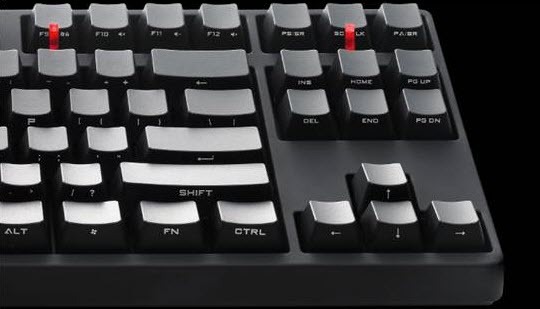 Choose between 3 different Cherry MX switches (Red, Brown, Blue) with each keycap being UV coated and front-printed icons for added durability. NKRO over USB means every single keystroke will be registered for total accuracy. The complete Numpad lets you get work done easier when you’re not gaming and the slim and lightweight size gives you plenty of room to use your mouse even in small areas and makes it the weapon of choice at LAN parties. An embedded steel plate and 18K gold USB connector ensure you’re getting a product worthy of the CM Storm brand. Step into the game with the QuickFire TK Stealth for unrivaled performance, quality, and comfort. Icons and letters are printed on the side of the keycaps which gives the Stealth an extremely sleek, clean and stylish look, and will last virtually forever. Each CHERRY MX switch is tested and guaranteed to last at least 50 million hits. A solid steel plate supports all switches and the circuit logic for maximum durability, the best possible tactile feedback and extreme stability. Braided with extremely durable synthetic fibre and gold plated – This high quality removable USB cable will last you a lifetime. 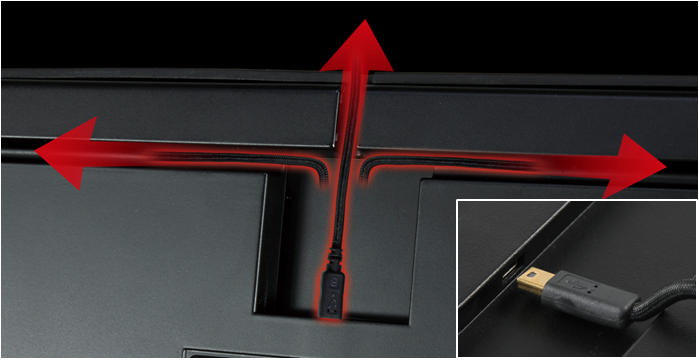 It can be routed to either side of the keyboard, or be completely removed and tucked away when on the go. In games many commands can be executed by hitting a single key. A higher repeat rate means commands can be issued faster, giving you an edge over competitors while putting less strain on your wrist and fingers. *Stealth is available in America, CIS and selected Asian countries.